For those in charge of buying, storing and maintaining fuels, it’s essential to ensure that the quality of that stored fuel to be used in an emergency is protected and maintained. Good quality stored fuel combusts properly without black smoke and adverse emissions and does not leave deposits inside of the engine, and the engines themselves run as well as they are designed to do. These considerations are vital because if stored fuels for emergency purposes are not ready for use at the exact needed time, there can be big problems as a result. 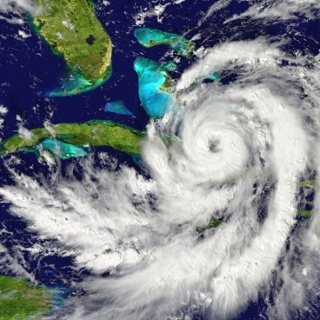 When a hurricane hits in Florida or a tornado happens in the south of the Midwest, public and private sector entities assume the emergency fuels set aside for these situations will perform their roles to power generators, emergency management equipment and other vehicles that perform the duties called for in the relevant emergency management action plan. The same scenario applies with stored fuels powering essential vehicles and equipment in non-emergency situations. The expectation is that these fuels will function like they’re supposed to. The expectation is not that generators on their monthly load-test will sputter and shut down at only 50% load. Whatever kind of fuel you use in whatever capacity, there are best practice things that you as a fuel manager can do to ensure that the stored fuel is going to continue to be ready to use when you need it the most. of the diesel fuel mixture that used to be soluble and in solution with the fuel blend, but which have reacted to form substances that are heavy enough to fall out as sludge. The marketplace offers a couple of chemical and mechanical solutions to help with fuel stability deficits. Fuel stability treatments are preventive treatments that keep these substances from forming, prolonging the usable life of the fuel. Fuel "polishing" (fuel filtration) is a reactive (but sometimes necessary) mechanical step that provides value by removing existing water, sludge and asphaltene dropout from the fuel so that the fuel burns as it’s supposed to. Both of these steps offer value points to the fuels professional worth considering, especially as part of a fuel preventive maintenance (fuel PM) program. Today’s diesel fuel is not exactly like the diesel fuel that was in use decades ago. The big difference between diesel fuels now and diesel fuels then is the level of sulfur allowed in the diesel fuel. From 1992 to 2007, regulations lowered the max. sulfur level of diesel fuel from 5,000 ppm to just 15 ppm. That’s a 99.7% reduction in fifteen years. 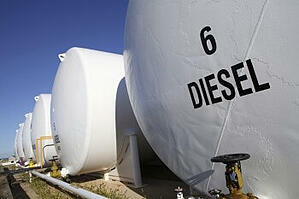 What does this mean for the diesel fuel stored for use in emergencies and other situations? Many aren’t aware that the removal of sulfur from diesel fuel makes that diesel fuel far more likely to have bacteria, fungus, and microbial infestation problems emerge in storage. Removing the sulfur itself is part of the reason, along with the fact that the refinery process used to remove the sulfur also changed other component of the fuel that, in total, give us diesel fuel today that has much less resistance to microbial growth than in years past. Fuel management professionals now find that they're far more likely to have a microbial infestation problem than in the past. This microbial danger becomes compounded when you add water accumulation in storage tanks, resulting in the perfect recipe for the destruction of stored fuel quality. Water plays several roles in the destruction of stored fuel quality. The accumulated water builds up in fuel storage tanks that are vented to the outside. Temperature changes from day to night cause condensation to develop on the inside of the storage tanks; this condensed water rolls down the sides of the tank and sinks to the bottom of the diesel fuel, because water is heavier than diesel fuel. Every fuel management professional knows it is common to find at least some water sitting at the bottom of every storage tank. This water enhances the possibility of microbial growth in that storage tank. Bacteria, fungi and microbes only need a small layer of free water interfacing with a layer of diesel fuel in order to get all the things that they need to grow and thrive inside of a fuel storage tank. Any time you have a layer of water in a storage tank, you have the enhanced potential for microbe growth and problems. Another factor water plays with respect to stored fuel quality is its role in the chemical breakdown of the diesel fuel. 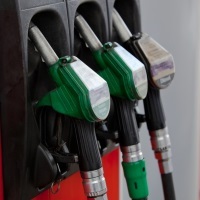 Diesel fuel can undergo chemical breakdown over time by a number of avenues. Microbes that infest storage tanks produce acids and corrosive substances as a result of their biological processes. These biological byproducts accelerate the breakdown of the quality of the diesel fuel just as you would expect an acid to do. They’re also strongly associated with corrosion damage of storage tanks themselves. there are demulsifier treatments that can resolve fuel-water emulsions and enable more effective free water removal. Water removal is also an essential element of a quality fuel & tank service program that typically involves removal of excess water in storage tanks coupled with the addition of both water controllers and biocide treatments to stop microbial problems before they start. The blending of up to 5% biodiesel content into diesel fuel is now common practice across the country. 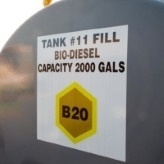 This means virtually every diesel fuel user has been using biodiesel, whether they realize it or not. While biodiesel fuels have some positive attributes (high lubricity, being a renewable fuel), their inclusion in the diesel fuel supply does not help with fuel stability problems. To make a long story short, even low levels of biodiesel content increases microbial problems in stored fuel because microbes love to feast on it. In addition, biodiesel is hygroscopic, even changing the amount of water that diesel fuel can absorb before it emulsifies or becomes free water which microbes loves. All of this means even low levels of biodiesel content can accelerate water accumulation in storage tanks and accelerate the problems that come with this in stored fuels. Today’s biodiesel blends and regular diesel fuels are prone to what is known as oxidative stability breakdown. They are less able to resist the chemical reactions that come from every day exposure to water, oxygen, light or heat, and bacterial byproducts - all of which are known to chemically deteriorate and break apart diesel fuel and biodiesel blends. They all contribute to either providing the fundamental ingredients for the chemical reactions that causes a fuel’s break down, or the acceleration of the oxidative breakdown of the fuel quality over time. Best practice fuel preventive maintenance practices will try to take all of this into account. Little can be done to prevent light and heat exposure. But water and bacterial presence can be successfully addressed by a good fuel and tank housekeeping program. Some agencies have these programs in place, while others utilize the expertise of partners in the industry to stay on top of the stored fuel quality for them. Ethanol blends, in the grand history of fuel storage use for emergency management, are a relatively new player on the horizon. 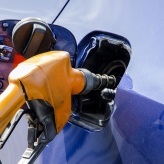 Ethanol in gasoline became common around 2005 and 2006 after the phaseout of MTBE (which used to be added as an oxygenate and an octane improver) because of fears of ground water contamination. Ethanol alcohol became the new oxygenate of choice across the country. Oxygenates add more oxygen to a gasoline mixture, helping the gasoline to burn with fewer harmful emissions that affect urban air-quality. Ethanol blends have a much more compressed storage life than diesel fuels do, which makes them more difficult to store for backup use. They attract water quite easily, a big problem for ethanol fuel blends when stored for any significant length of time. This water accelerates oxidation and breakdown of ethanol fuels, contributes to the same type of microbial infestation problems in ethanol blends, and causes phase separation of the fuel. Stored ethanol gasoline that has phase-separated is going to be useless – its octane rating and combustibility will be shot and there’s no way to put it back together again. The only solution to protecting stored ethanol gasoline is to make sure the fuel doesn’t reach that point. 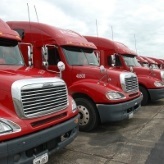 What Are The Best Practices For Protecting Stored Fuel? When it comes to maintaining stored fuel and protecting its quality for the needed time, the best practices will fall into two camps – chemical and mechanical practices. Both camps have their value and also their limitations. It’s important to realize what these are. 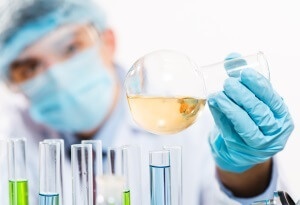 "Chemical practices" center on adding effective chemical treatments to the stored fuel to either fix an existing problem or prevent a possible future problem from developing. The important chemical treatments to consider are fuel stabilizers, water controllers, biocides and sludge dispersants. Fuel stabilizers are typically antioxidant packages that prevent the chemical reactions from starting that cause fuel quality to break down over time. Oxidative chemical reactions in diesel fuel are a chain reaction; this means that the process is started with a few chemical reactions that lead to more chemical reactions, eventually leading to widespread breakdown of that diesel fuel. Oxidative fuel stability ingredients, like Bell Performance Dee-Zol Life, function by stopping these first chemical reactions in the process. If you stop the first chemical reactions in the chain reaction, you stop the rest of the chain reaction and, in this case, this means preserving the fuel quality of the store diesel fuel. Water control ingredients are essential to control the buildup of water that happens in stored diesel fuel and stored ethanol fuels. Bell Performance manufactures a number of single function and multifunction fuel treatment products (DFS Plus and Ethanol Defense) that absorb water buildup in ethanol and diesel fuels. Bell Performance multi-function treatments, such as Dee-Zol, also provide combustion improvement and detergency functions in addition to their water control features. 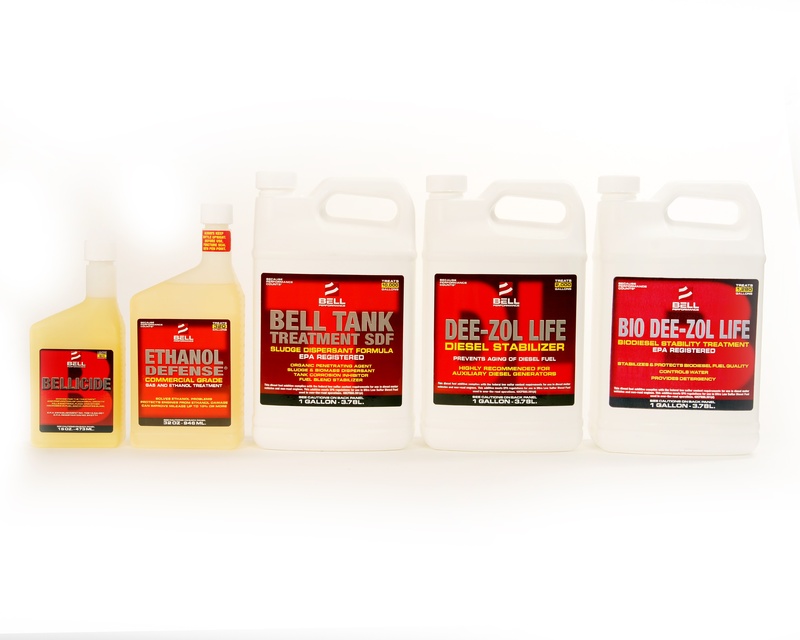 Also new to the water control scene are several demulsifier formulations from Bell Performance – Demulsifier EB, Tank Treatment EB – that are highly effective at breaking fuel-water emulsions and forcing water to separate from diesel fuel and collect at the bottom of the tank as free water where they can be more easily removed. Sludge and biomass dispersants (Bell Tank Treatment SDF) have recently come to the forefront of best practices because they can keep stored fuel tanks clean of problematic sludge buildup while also dispersing microbial biomass formations. This enables the storage tanks to stay cleaner while enhancing the effectiveness of any biocide that is used. Tank Treatment SDF also provides a corrosion inhibition function by protecting tank surfaces in contact with treated fuel from attack by corrosive elements in the fuel. All this having been said, chemical "fuel additives" cannot do everything, despite what some fuel additive companies tell you. The most relevant limitations that should be considered are:  Water controllers can effectively control limited amounts of water but are not designed to make large amounts of water disappear. Chemical fuel treatments also need to be added correctly. Fuel stabilizers need to be added when the fuel is fresh,before signs of instability become apparent. 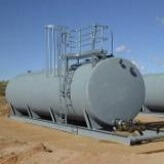 Once fuel sludge has developed in a fuel and its storage tank, a stabilizer will not put it back together again. Biocides and sludge dispersants need to be added and incorporated into the fuel through fuel circulation, to allow maximum contact between the chemical treatment and what it’s supposed to be remediating. It is rarely effective enough to add these types of treatments in top of the fuel and simply let them diffuse throughout the entire fuel body. Now that the limitations of chemical fuel additives (they can’t do everything) has been brought to light, we consider that mechanical fuel treatment processes have a great deal of value in filling in the gaps to protect stored fuel quality. "Mechanical processes" is another name for fuel polishing. The biggest limitations that fuel filtration and similar processes have in protecting stored fuel quality are that they do nothing to keep fuel problems from coming back. Fuel polishing and filtration removes from the fuel what’s not supposed to be there. But after the process is concluded, all bets are off. If you manage stored fuel of some type, you may even have had this scenario play out where you are. You engage the services of a fuel polisher, who may come out and do an admirable job of cleaning up darkened fuel and turning it clean and bright, just as it supposed to be. Yet, once the mechanical process is concluded, there’s nothing to stop the fuel from darkening again. Or developing a repeat microbe problem within a couple months. Mechanical fuel processing addresses current problems, it does not prevent future ones. Given the limitations of either side, the best practice recommendation for protecting stored fuel is to use a combination of both methods. The best practice is to start with the use of periodic mechanical fuel and tank servicing to clean up and remove existing water, sludge, asphaltene dropout and microbial growth. 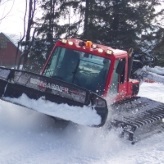 This is combined with the addition of quality chemical fuel treatments that both enhance the effectiveness of fuel polishing (water controllers to scavenge leftover water, sludge dispersants to remove hard-to-reach asphaltene collections) and prevent these problems from returning (biocides, fuel stabilizers) for long periods of time than would be possible without their use. Not to be left out of the discussion, it is important to also incorporate periodic fuel testing among the recommended best practices of protecting stored fuel quality. Fuel testing gives an essential diagnostic picture of the condition of the fuel, without which, it is much more difficult to compile an accurate picture of how healthy the stored fuel is and to know which specific fuel quality problems need the most attention. The idea of fuel testing can be, for many fuels professions, both daunting and confusing. Unless they’re under the directives of specific testing requirements by a regulatory agency, it may be difficult to know which of the many tests for stored fuel are good ideas and which are not needed. It is not uncommon at all to throw money away on tests that don’t mean what we think they mean, if you don’t know which ones are really needed and which are not. Effective fuel maintenance practices will look to incorporate tests like cetane index (to verify the stored fuel’s cetane rating), water and sediment content (to document levels of impurities) and accelerated stability. In addition, microbial content monitoring can be indispensable in both documenting if microbial contamination exist in fuel and in predicting whether microbial problems may be on the horizon for the fuel in the near future.